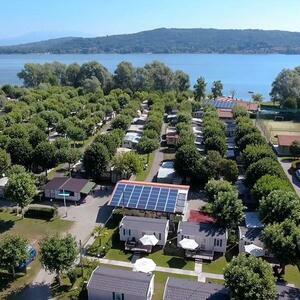 This magnificent three star camping complex is situated in the pre-alps and stands at the southern end of the breathtakingly beautiful Lake Maggiore. The Smeraldo Camping complex is the perfect location for a relaxing and a never- to-be-forgotten camping experience. 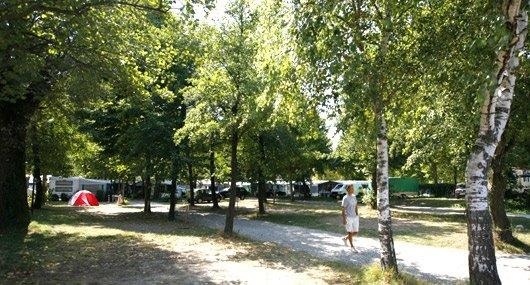 The camping is built according to the most modern conception about the tourism in open air and a wide variety of different tourist and sport activities are offered by the camping. Within the 24.000 mq park there are some tyrolean-style bungalow and mobile houses, enhanced by the colourful floral arrangments around them. There is also, of course, ample space for camper vans, tents and caravans. The Smeraldo Camping Complex is equipped with a great swimming pool, a large sandy beach, tennis court and football pitch,beach volley ground, children playground. All our maxicaravan are placed near the lake, some with direct view on the lake, and can accomodate up to 4 people. Are composed of dining room with cooking area, 2 bed rooms, and bathroom with shower. Outside there is a little garden with table and chairs and the personal car park. Air conditioning, bed linen, cooking and eating supplies complete the offer. the Tirolean-style bungalow are placed in the most shaded area of the camping complex and can accomodate up to 5 people. Outside there is a porch with table and chairs and the personal car park. Each bungalow is equipped with TV and bed linen. Cooking and eating supplies complete the offer. 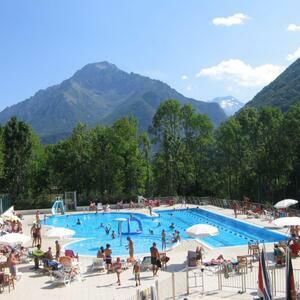 At the Smeraldo Camping complex you can enjoy the real camping life by renting our camping pitch. There is ample space for camper vans, caravan and tents. All are on grassy ground and set in the shade of trees in the canebrakes park of Dormelletto.The toilet blocks are in the middle of the camping so, easy to reach by everyone. Kindness and sympahty are two suitable adjectives to describe the atmosphere you'll immediately feel when you are set in this green and quiet park. Here at the Smeraldo Camping Complex, we can offer a wide range of first class leisure amenties. Firstly, we have a sexteen meter swimming pool with depth of 1,40 meters.There is also a toddlers pool with a depth of 0,80 metres, perfect for enthusiastic tiny biginners. During the summer months the pool are overseenby a fully qualified and highly competant life guard, so, everyone can enter the pools with confidence and just enjoy. Next we have our well cared for white sandy beach nestling by the gently lapping waters of lake Maggiore. Water sport are permitted on the lake from sailing all the way through to some very good fishing. The beach also has designated volleyball area and a children playground with a variety of slides and roundabouts. Then we have a dual purpose tennis court and football pitch, this has an all-weather surface, and reservation can be made at the main office. So, don't forget those tennis rackets and football shirts!!! Table tennis is also available and in august there is a series of specially arranged sporting events. For those who prefer to just relax and enjoy the wonderfull italian summer days laced with a gentle cooling breeze, our beach, here at the Smeraldo Camping Complex, is your perfect location.